Capturing the essence, preserving the memories! In our digital age, you may find yourself in need of a professional headshot for your web-page, work websites, Facebook profile and so on. No need to spend a fortune. Your session will last about 10 minutes and includes web-sized images, between 3-5, emailed to you. Your favorite image will be sent in hi-res format with a print release after you select your favorite! A portrait session is for a single person or animal. The images include various poses to include headshots as well as full body (if desired), using the available props in the area of the session. The typical session will last about 30 minutes and includes all acceptable digital images professionally edited, generally 20-25, with a personal print release and gallery to share with family and friends. A couple session, whether just engaged or married for fifty years, is about your existence as one. Your tenderness and love for one another are magical and I am very honored to be chosen to capture these special memories. The session is generally between 30-45 minutes and is personalized and location selected to allow you and your special someone to forget I am present. The fee includes all acceptable digital images, usually 40-50, with a personal print release and a gallery to share with friends and family. 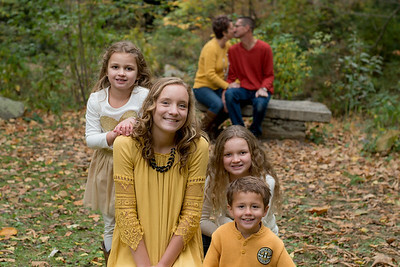 A family session is for three to five people. The typical session will about 60 minutes (longer if little ones need more time...no problem). There is a $20.00 fee for each additional person. Allow more time when more people are added. Not only will you receive the group shots, but also individual portraits for each member, as well as select groupings. The fee includes all acceptable images, usually 50-75 depending on the number of people, with a personal print release and a gallery to share with friends and family. A senior session is more than just a portrait session (seniors, you can certainly book a standard portrait session for $125.00) I will incorporate those items that make a statement about you during your high school years along with the portraits. The basic senior session will last around an hour, include all acceptable images, usually 20-30, as many outfit changes as you like in the time we have together and be at one location. I am open to all your great ideas to make the session and images a fun time and statement about who you are. This session is expandable to include more time, images and locations. Please contact me for fees for expanded sessions. Also, a gallery to share with family and friends. I would love to photograph your events..... corporate function, birthday party, baby and wedding shower, rehearsal dinner, wedding, graduation, prom...the list is endless! Give me a call to discuss the details and how I can capture these special memories for you!! Be a part of the memory! Do give me a call and we can go over your vision for your special day. * Your pet is a member of your family and is counted as a member in the packages! * Outside of Asheville area? No problem, a small travel fee will be added to the session. * Outtakes!! I shoot everything!! I often get fantastic images when folks are relaxed and having fun while getting into position. I will add these cute, unexpected captures to your gallery even if not a technically correct image!